Whether you are looking for a fun & fabulous Caribbean cruise -- some serious R&R at a luxury beachfront all-inclusive -- or perhaps an independent tour through Europe -- we would love the opportunity to work with you to plan your next unforgettable vacation. As Atlanta's premier vacation travel agent, we understand that travel should be much more than “sightseeing." We ensure our clients' journeys provide experiential travel overflowing with lifetime memories. 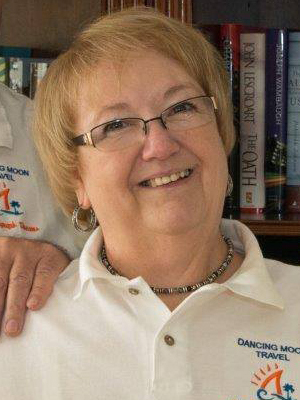 As a Master Cruise Counselor and Certified Group Events Travel Specialist -- and avid cruiser herself, agency owner Pat Hand knows her way around a cruise ship! She has sailed on most every contemporary cruise line at one time or another. “I truly believe cruising can be for everybody … the secret is to match each guest with the ship and itinerary that perfectly suits their particular needs and travel style.” Whether you are the veteran of many cruises or planning to embark on your first cruise experience, we would love to work with you on your next vacation. 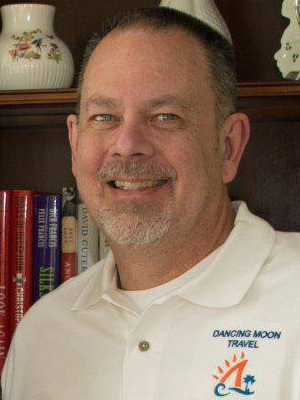 Prior to joining Dancing Moon Travel, Kevin Gragg enjoyed a corporate career in sales, operations management and customer service. Kevin is a seasoned traveler. "I recently returned to the US after living in Lyon, France for two years. While there I was able to feed my travel hunger by traveling all over Europe ... my Passport is pretty worn." reports Kevin.